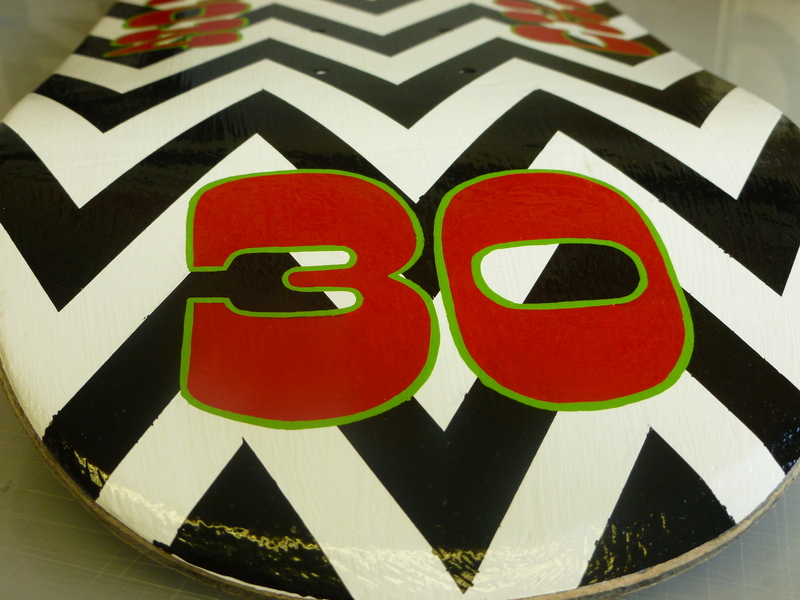 This is my most recent project, a gift for a friend who just turned 30. 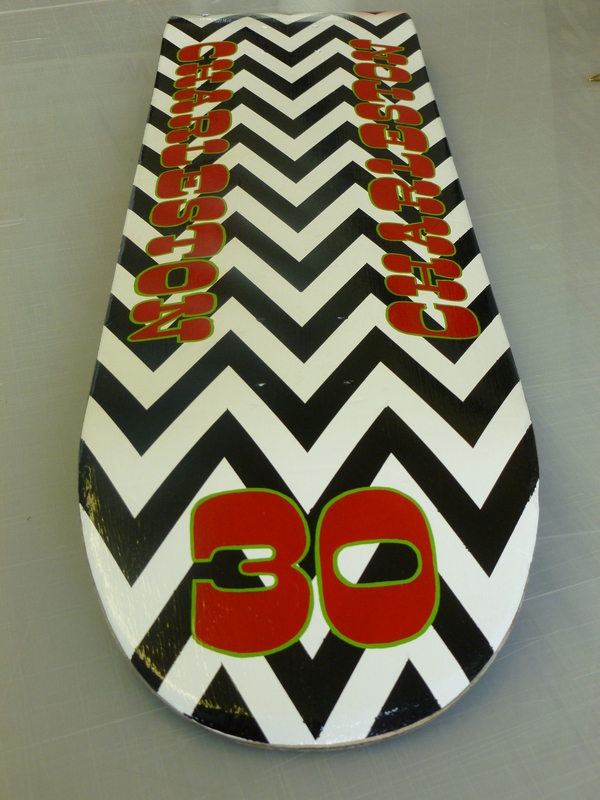 He’s a keen skater, goes by the name Charleston (his surname) so, following a quick scan on ebay, I found a cheap used skate deck which I thought I could customize for him. It came out fairly well in the end although there were issues along the way. 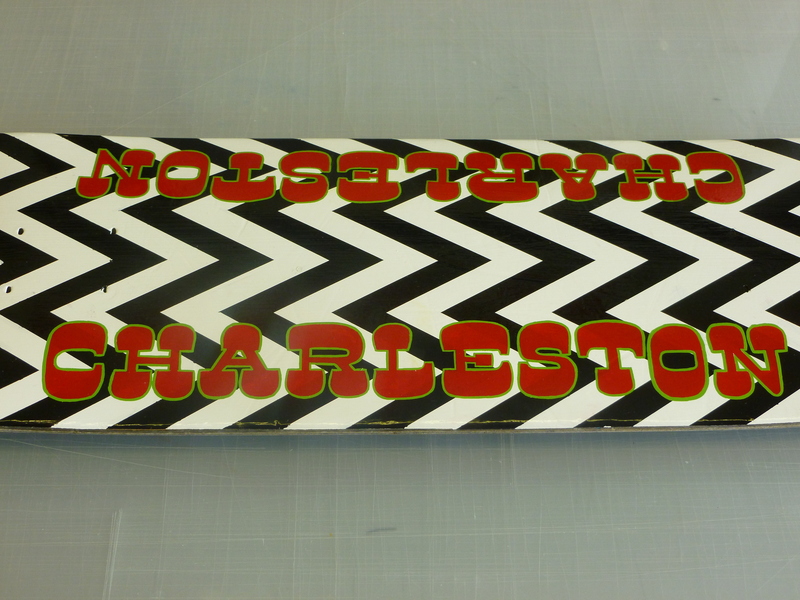 I thought of using a Twin Peaks themed pattern which I thought would be effective, but it made the text difficult to decipher over the top as it was a quite busy backdrop to work on, and I had to do some very fine outlining in order to pull the letters out. As a result I ended up presenting the board about two to three weeks after his actual birthday. He seemed to appreciate it though, so it was worth the wait.